At the beginning of February on the Worldbulletin, the Istanbul newspaper, a note was published saying that, during the “First High Level Joint Commission Meeting”, Ethiopia and Djibouti have drawn up a joint press release, in which they accuse Eritrea of undermining the stability of the Horn of Africa. For this reason the two countries would be asking the international community to “take serious steps against the Eritrean government”, the latter being guilty of destabilizing the area. 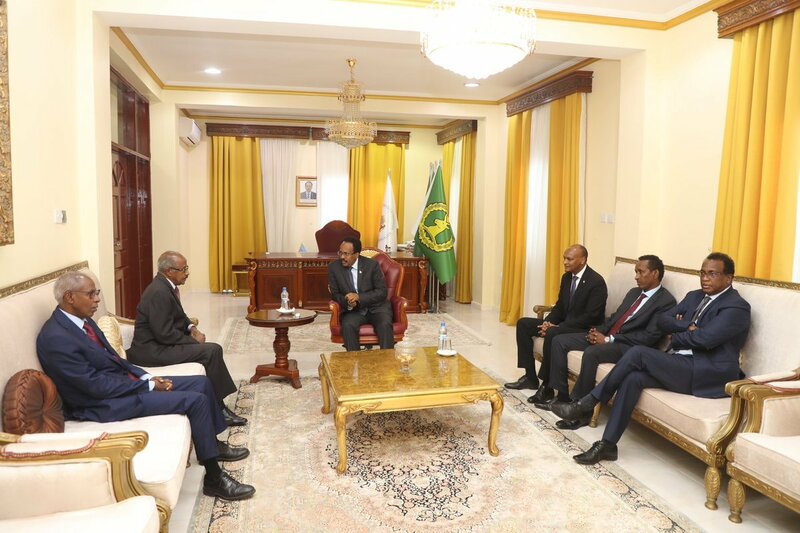 This declaration, which went unnoticed by the Western press, preoccupied nowadays with the crisis in Libya and the ISIS terror threat, has arrived at the end of one of three days of meetings in Djibouti, between the President of the Republic Ismail Omar Guelleh and the Ethiopian First Minister Heilemarian Desalegn. An awaited visit, useful to strengthen links renew political friendships and economic synergies between two countries declaring we “are surfing in the same boat”, and to have “the same values, culture and economic vision”. Nothing could be more true than this. The current President Ismail Omar Guelleh, who, in the nineties, succeded his uncle Hassan Gouled Aptidon, though after contested elections, speaks Amharic and is very fond of Ethiopia, of the Harar region, where he was born and where he maintains important contacts. For Djibouti, a country with approximately 800 thousand inhabitants, without any particular natural resources or agricultural development, with a GDP at around 1.5 bn dollars – far apart from that of other African economies, a good political relationship with Ethiopia means wealth and economic development. For Ethiopia, on the other hand Djibouti represents a sea outlet, a departure and arrival point for all goods. Djibouti exports salt to Ethiopia, its major product, and in exchange it imports all that the country needs. And one of the new commercial harbours, Ghoubet harbour – under construction in the eponymous bay – will be dedicated to the export of the salt extracted from Lake Assal. Djibouti, a strategic geographical hub, “Africa’s Singapore?”, as recently called by an Ethiopian newspaper, is an important military base for many foreign countries and, because of its very advantageous position, has benefited in recent years, from important investments for the realization of harbours and infrastructures. Gibuti Vision 2035 is the name of the development plan started thanks to the World Bank, which has found confirmations in recent talks, during which Ethiopia and Djibouti have established the starting of new projects, and confirmed the deadline, in 2016, for the completion of the works for the new Djibouti-Addis electric railway and stipulated agreements in the energy sector. With regards to energy, four years ago Djibouti began importing it from Ethiopia, thus considerably reducing its cost. If so far the country has been able to rely almost only on diesel generators, an electric plant able to meet further demand will be built shortly in the northern region. All development projects of recent years – four new harbours, alongside the historic one, the free zone, an industrial common zone with Ethiopia at the border between the two countries, the construction of an airport near the capital – have all been possible thanks to a good relationship with Ethiopia. Apart from economic connections the two countries share the same political vision – the very reason which led them to point the finger at Eritrea, accused of destabilizing the region. In which way? How? This has not been explained yet. The Eritrean Ministry for Foreign Affairs has immediately issued a public statement, in which “appallment” is expressed for this unmotivated attack. Unmotivated – that is, unless one must look back in the years in order to understand what is happening today, which is often the case in this area. 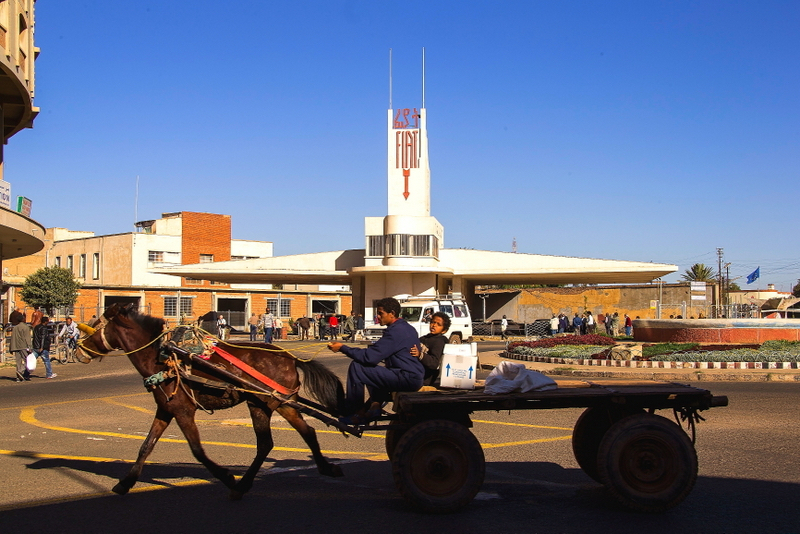 Eritrea conquers independence in 1993, but after a few years it is attacked by Ethiopia, which is perhaps not resigned at its “smaller brother’s” decision to exit its political and economic orbit, and asserts that a vast border region around the city of Badme is Ethiopian. Two years of war ensue, with casualties and wounded men on both sides, then the end of conflict in 2000 and, finally, in 2002 the impartial verdict established by the EEBC – the Eritrea and Ethiopia Boundary Commission – affirming that those territories are Eritrean. The verdict should have been “final and binding”, but Ethiopia does not accept it and its troops remain lined up along the disputed Eritrean border. From then on Eritrea enters a cold war state, of “not peace-not war” – a situation, which becomes more and more difficult every day and which, above all, throws back to the Eritrean government, which the youngest generation reproach for giving an unsecure peace, without future, for forcing young people to serve the state, without being able to work for themselves. Such situation might change as according to recent news the National Service, introduced after independence as a means to rebuild the country with its own forces – a concrete expression of self-reliance – will be of 18 months’ duration again. Thus cancelling the precarious state and the accuse of enlisting and using young people for an indefinite length of time. Young people who emigrate, though, do this for economic reasons, to reach a Europe, which does not grant them visas first, then admits them, as long as they claim to seek asylum on political grounds – thereby encouraging a trafficking of human beings, which is maneuvered by plunderers who get rich at the expense of those who are illegal immigrants. The United Nations Security Council (UNSC), first in 2009 and then in 2011, will accuse Eritrea of arming and helping Al Shabaab, a Somali fundamentalist organization. Five years on, no evidence of this has been found, however, sanctions remain, completing the job of sinking a country, which, nevertheless, resists. In fact in these difficult years Eritrea, which, even during the fight for independence, had not given up building schools and hospitals, hiding them to the enemy, reaches the important objectives on health established by the Millennium (MDGs), drastically reduces infant mortality – which in the ’70s was 50%, as well as childbirth and neonatal deaths, extends vaccinations, fights and eradicates malaria and HIV. Before independence one child out of two, under five years of age, died. Nowadays, children no longer die and go to school. The generation born after independence can read and write. If, as we often repeat, alphabetization is the first step towards the formation of a fairer society, in which people are able to take care of their own health, their own future, then this result has been achieved. 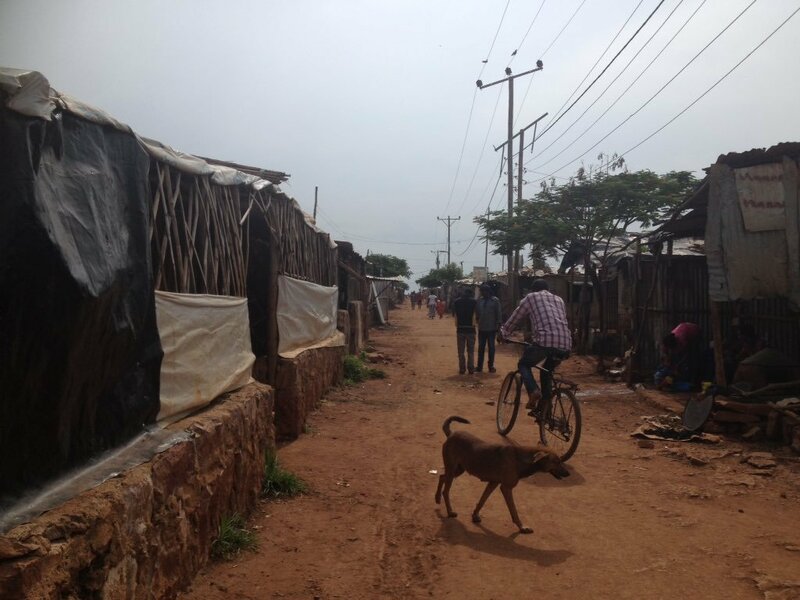 Young people no longer need to go to Sudanese or Ethiopian refugee camps to find a school – they would rather need a job in their own homeland – a country finally in peace, for which they could do a lot. For those who have visited the country on more than one occasion, the accuse that Eritrea is backing terrorism is difficult to understand, because the climate of religious tolerance and coexistence among different ethnic groups is tangible, it can be felt even in daily life. Muslims and Christians live in the same quarters, are friends and neighbours, they participate in each other’s festivities. Going back in history, even colonialist history, you can see that in catholic missionary schools, which were once the most widespread, Muslims and Christians were desk mates. And independent Eritrea has continued the process of unification by founding a country without feelings of ethnic or religious superiority. All consider each other as equals. But why does Djibouti accuse Eritrea? One could assume that this happens to appease Ethiopia on the one hand, while on the other hand there are after-effects of old colonial disputes, which have left a legacy of fragile borders and intricate diplomatic situations. 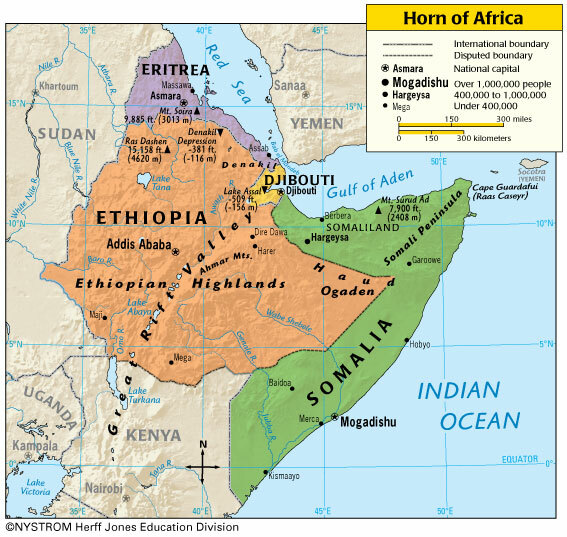 Shortly before the conflict with Ethiopia in 1996, the Djibouti Government accused Eritrea of attacking the village of Ras Doumeirah, which was inhabited by a nomadic ethnic group, the Afar, present in Djibouti, in Eritrea, in Ethiopia and in Northern Somalia. Eritrea denied accusations, avoiding a conflict. 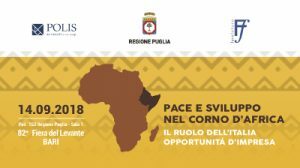 A few years afterwards, in 2004, with the mediation of Libya, the diplomatic relations between the two countries improved, but remained linked, for Asmara, to the friendly relations between Djibouti and Ethiopia. The good news arrived on 6th June 2010, when the two presidents, the President of Djibouti, Ismail Omar Guelleh and the Eritrean President, Isaias Afwerki, with the mediation of the Qatar emir Sheik Hamed Bin Khalifa al Thani, signed an agreement, which made tensions in the region stop. In the last few months, at international level, voices have been raised in favour of Eritrea, against the persisting of sanctions, which are having huge repercussions on the country, impoverishing it, stopping its growth and causing the emigration of those who cannot find work. 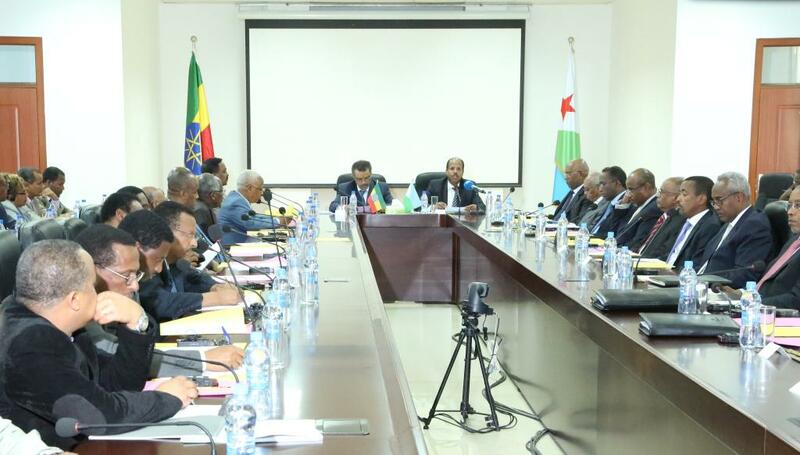 In the press release of the Eritrean Ministry for Foreign Affairs is written that the very reason for the accusation made by Djibouti and Ethiopia, is the preoccupation for the possible lifting of sanctions. One should hope that on the Horn of Africa sooner or later, apart from the Khamsin, a warm wind that covers everything, the “vento del Nord” northern wind, could also blow – a wind bringing the future without eradicating history, as Pietro Nenni wrote in 1945, referring to Italy, which was not completely free then. A wind that may sweep “strategic interests” away, similar to those expressed in the Fifties by the US Secretary of State John Foster Dulles, who, in order to justify a federation between Eritrea and Ethiopia said to the General Assembly of the United Nations: “From the point of view of justice, the opinions of the Eritrean people must receive consideration. Nevertheless, the strategic interests of the United States in the Red Sea Basin and considerations of security and world peace make it necessary that the country has to be linked with our ally, Ethiopia” (December, 2, 1950).